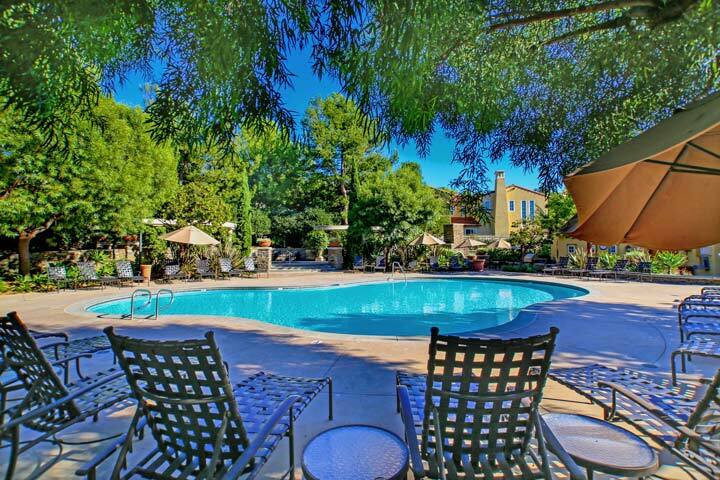 Tesoro Villas are located in the upscale community of Newport Coast, California. Tesoro Villas is a private gated community consisting of single family homes that were built between 1997 to the year 2000. This is a great gated community with select properties offering Pacific Ocean and Catalina Views. Tesoro Villas floor plans are in the Mediterranean architectural style and feature three to five bedroom homes that range in size from 2,175 to 3,245 square feet of living space. 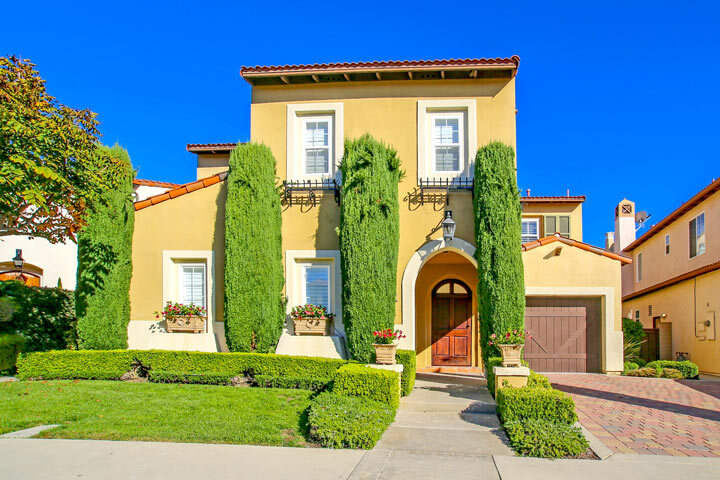 Below are the current Tesoro Villas homes for sale and for lease in Newport Coast. Please contact us at 888-990-7111 with questions regarding this community and any of the house listed for sale here. The Tesoro Villas community is under a homeowners association with monthly dues required. The dues include use of the community pool and spa area as pictured below as well as the gated entrance. There are a total of two neighborhoods that share the same gated entrance and known as Tesoro Crest and the Tesoro Villas neighborhood. Tesoro Crest will feature slightly larger homes and will be more expensive in price.